Senegal has long been one of West Africa’s most-visited tour destinations, though it is often overlooked in favor of East Africa’s popular safari destinations, like Tanzania or Kenya. Unlike East Africa, Senegal is less than eight hours from New York by direct flight, and less than five hours from most European airports. If you think you are sacrificing wildlife-viewing opportunities by visiting Senegal, think again. This bird watching paradise offers a beautiful mixture of city, desert, swamp, and savannah, along with a perfect mixture of cultural tourism and ecotourism. Start planning a Senegal tour today! This welcoming nation is ripe for tourism, and requires no visas for most countries in Europe and North America. A visit to the enchanting city of Saint Louis is an essential component of any Senegal tour, despite its distance from the rest of the popular tourist areas of Senegal. 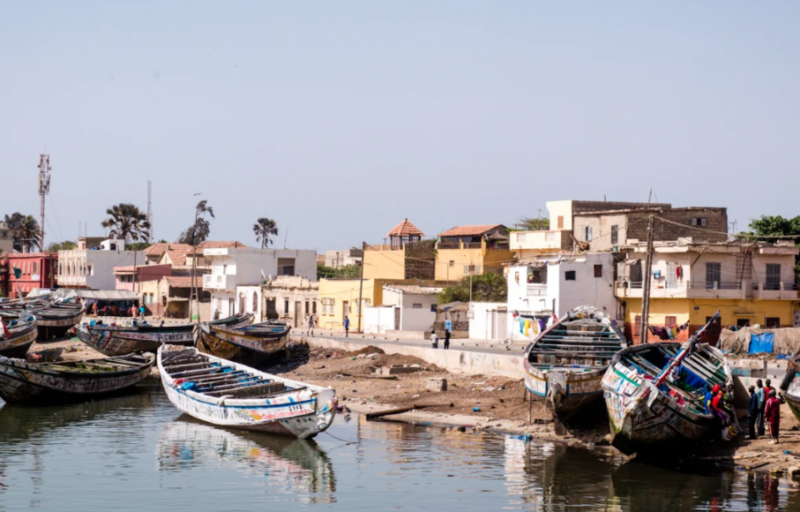 Sitting at the mouth of the Senegal River, Saint Louis played a vital role in the colonial history of Senegal, and it’s architecture remains a testament to that colonial influence. Situated on two main islands, Saint Louis is best toured by horse cart. If the city is more your vibe, you can book a hotel in one of the old colonial structures in the city. On our Senegal tours, we generally book a quiet beach hotel outside the city center so that our guests can relax by the pool after they finish their tour for the day. If you book your Senegal tour during the dry season, the Djoudj National Bird Sanctuary must not be missed. This UNESCO World Heritage site is visited by over 400 species of migrating birds, including pelicans and flamingos. While many West African tours will flee the capital cities in favor of the quieter countryside, Dakar is an essential part of any Senegal tour. Dakar sprawls like most West African capitals, but its downtown area is compact and clean, with quiet streets, cliffs overlooking the ocean, and beachside bars and restaurants. It also features a wide-range of luxury and boutique hotels. Just a 30-minute ferry ride from the city, Goree Island is the most popular tourist attraction in Senegal, and a staple on nearly every Senegal tour. Be sure to make sure that your Senegal tour also includes a stop at the African Renaissance Monument and at least one of the city’s traditional markets. Joal Fadiout is a small community situated on an island made entirely of shells. It is seldom-missed on any Senegal tour. After crossing a small footbridge that extends into the delta, you can explore this small village with a local tour guide and observe daily life in this majority-Christian community. The Sine-Saloum Delta is perfect for a wide range of boat tours. Whether you are a birdwatcher who wants to see visit one of the many popular roosting points in the delta, or a cultural tourist interested in visiting one of the inhabited islands, be sure your Senegal tour includes a boat excursion! The Lompoul Desert offers a Sahara-like experience without having to leave the comforts of Senegal or drive too far off the beaten path. Almost any Senegal tour that visits Saint Louis will drive by the road to Lompoul, making it a convenient way to break up the long drive and have a relaxing night in the desert. Lompoul offers a range of fun activities, including camel rides through the dunes, sandboarding, ATV tours, stargazing, or just relaxing in a hammock overlooking the dunes. If you wish to stay the night, the Ecolodge de Lompoul offers Bedouin-style tents, complete with bed, toilet, and shower, and a full-service restaurant. The stargazing in Lompoul is not to be missed! If you would like your Senegal tour to include some time on the beach, look no further. The Petite Cote is conveniently located within driving distance of almost all of Senegal’s most popular tourist destinations, making it an easy place to stop and relax for a couple of days. This stretch of palm-lined beaches has a wide variety of hotels to choose from, almost all of which have beachside pools. Saly is also a convenient homebase from which to take excursions to Joal Fadiout, the Sine Saloum Delta, and Bandia Reserve. While Senegal tourism may be better known for its cultural tourism or beaches, Senegal is also a paradise for wildlife enthusiasts. The parks are reserves are spread out across the country, however, so plan your Senegal tour carefully to make sure you limit drive time and get the most of your Senegal vacation time. The popular and accessible Bandia Reserve is a great introduction to native and imported Senegal wildlife, but more adventurous tourists may choose to make their way to one of the larger parks farther east. For the true adventurer, Niokolo-Koba National Park may be the most rewarding experience. This park is home to a wide range of fauna, include chimpanzees, West African lions, elephants, leopards, hippopotami, patas monkeys, buffaloes, warthogs, West African wild dogs, baboons, and more. For Senegal birdwatching tours, Djoudj National Bird Sanctuary and the Sine Saloum Delta are essential stops. Even if you are not an avid birdwatcher, consider adding these excursions to your Senegal tour in order to view the hundreds of migrating bird species.